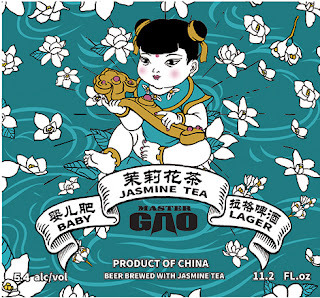 5.4 % abv - Jasmine Tea Lager uses Jasmine Tea produced in Guangxi province. Each tea leaf is roasted with fresh Jasmine flowers at least six times in order to get the optimum amount of aroma, while adding fresh jasmine flowers to each roasting cycle. 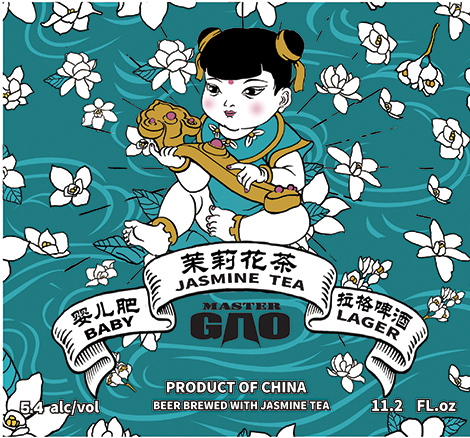 The tea is then brewed at a medium temperature for hours to extract the tea flavor but with minimal tannin extract, which adds to the final beer’s richness. The overall tea flavor on the beer is mild as to complement the lager quality of the beer, making this a very easy to drinking & refreshing beer.